Commodore Brian Santarpia from the Royal Canadian Navy and the current Commander of Combined Task Force 150 (CTF-150) recently returned to the Combined Maritime Forces (CMF) headquarters in Bahrain from a visit to the Hashemite Kingdom of Jordan where he recognised the strong commitment and contribution to CMF operations from the Jordanian Armed Forces. Commodore Santarpia met with Brigadier-General Qasem Fadeel Nahar Tanashat, the Commander of the Royal Jordanian Navy, and Brigadier-General Bassam Harat, the Deputy Chief of Joint Operations Directorate. 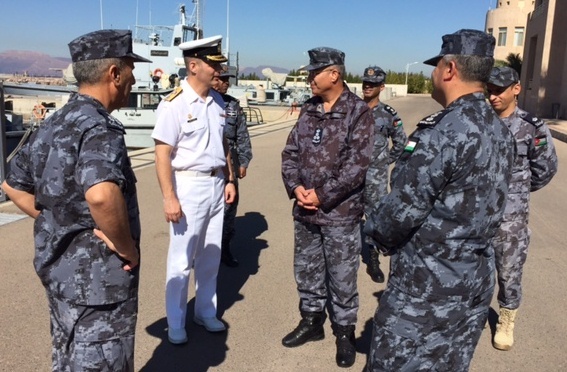 Commodore Santarpia and the Jordanian officials discussed how challenges to maritime security in the region can be better addressed through mutual cooperation, especially in the conduct of maritime security operations in the northern Red Sea. 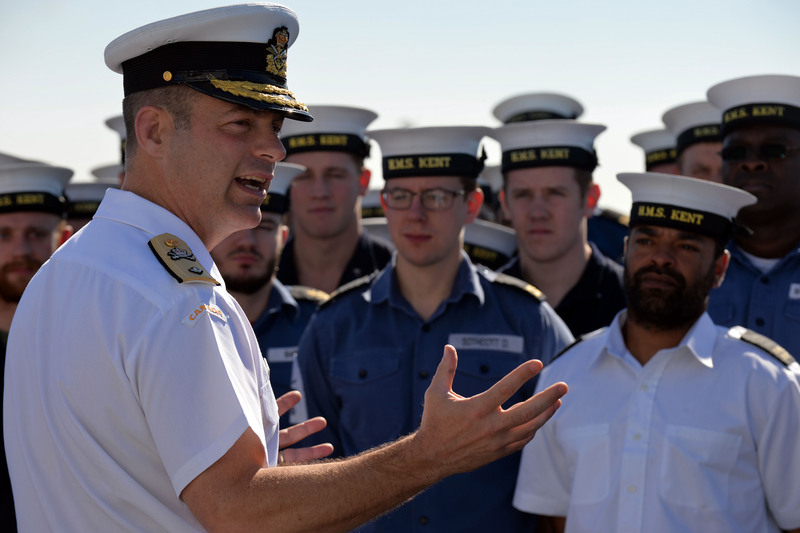 While in the Jordanian coastal city of Aqaba, Commodore Santarpia seized the opportunity to meet with the crew of British warship HMS Kent, who were conducting a well-deserved port visit after a period of time supporting CTF-150 and CMF’s counter-piracy task force CTF-151. 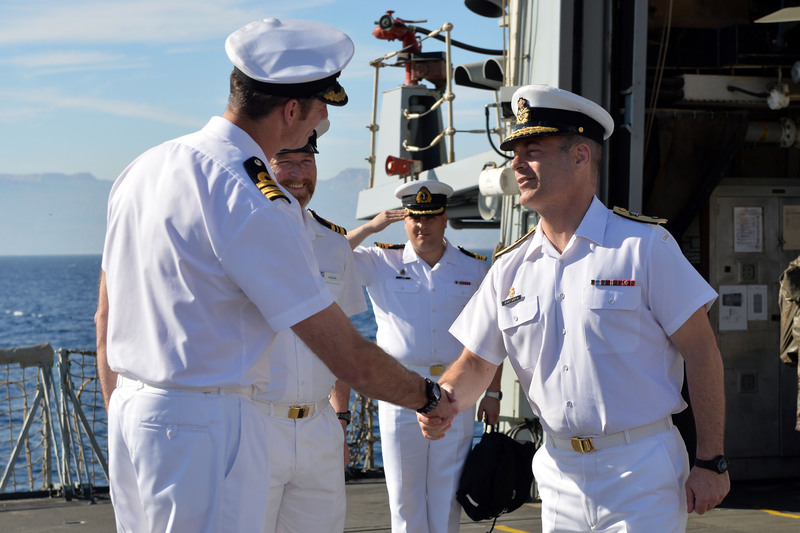 The Commodore thanked the Type 23 frigate’s highly-skilled crew for all their hard work in recent months in support of both CMF operations. Next Next post: HMAS Success delivers more than fuel!